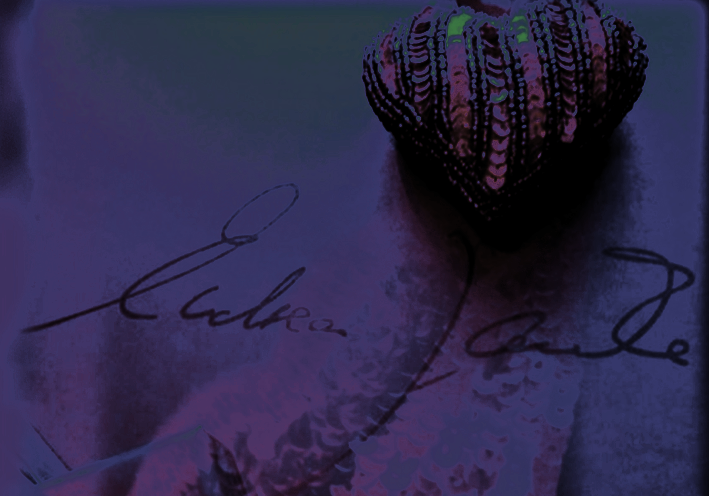 "The history of haute couture is studded with magnificent obsessives like Cristobal Balenciaga and Charles James. 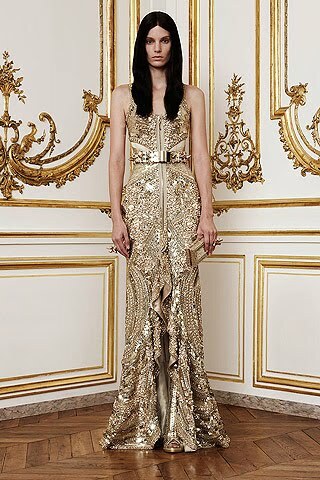 Even if Ricardo Tisci's name never makes it onto that list, his latest Couture collection for Givenchy proved that he shares the grandmaster's fanatical devotion to realizing an intensely personal vision through cut, cloth, and, in Tisci's case, extraordinarily elaborate ornamentation..."
"... The darkest colour in the collection was the chocolate brown on those feathers. Otherwise, everything was white, flesh-colored, or gold, with a salor dedicated to each shade. Even the baboon fur what was attached to the swallowtailed knit jacket was spookly bleached. ... He (Tisci) claimed his inspiration was Frida Kahlo and her three obsessions: religion, sensuality, and, given the painter's lifelong battle with spinal pain, the human anatomy. 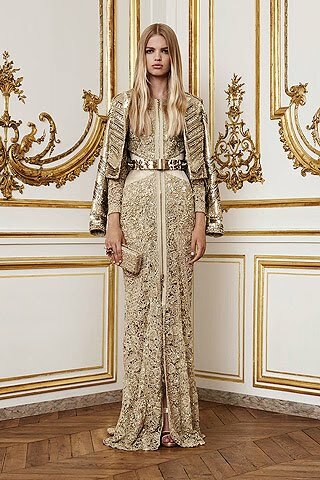 The dominant motif of the collection was the skeleton, laid out flat in the lace appliquéd on a long tull column, or rendered in three dimensions in obsessively dense clusters of cristals, pearls, and lace on the back of a jacket in double silk duchesse satin..."